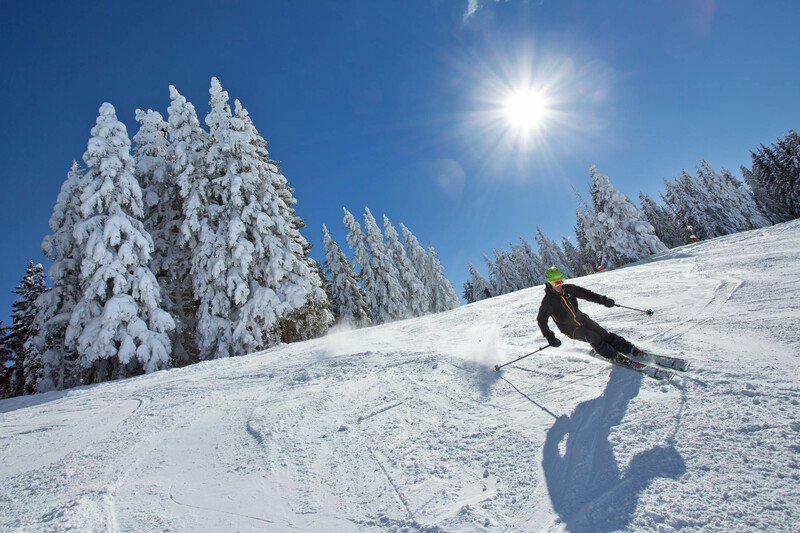 Ski weekends and short breaks are becoming increasingly popular for a number of reasons. Each year the diary gets busier and busier and sometimes a week long ski break is just not viable, perhaps 3 to 4 days skiing is just the perfect length of time for you (and your thankful legs), or simply you just can’t wait for your next ski holiday and want a quick snow fix to tide you over. Either way get your Work:Play ratio restored and book a ski weekend or short break this season, you won’t regret it! It just so happens that you’re in luck! The Swiss, French and Italian Mont Blanc regions offer up some of the best resorts in the world, perfectly located and well equipped to host that perfect ski weekend or short break in the Alp’s, and here’s why. Geneva Airport being so centrally located in Europe makes it a very popular flight path and relatively short flight. This means there is usually a plethora of operator and flights to choose from to suit all schedules and budgets. This in addition to the fantastic Mont Blanc resorts only 60-90 minutes away by road means that you waste less time travelling and spend more time in resort doing what you love….Eat, Drink, Ski, Repeat! Right? Significantly for weekend stop overs and short breaks these resorts live for the weekend with holiday makers celebrating and locals enjoying some down time off work. We at Peak Transfer have selected our top ski weekend and short break destinations that have everything and anything you could want or need for a fantastic short break in the Alps. Specialists in providing bespoke ski weekends or short ski breaks to make the most of your time off work with friends or family or create that memorable corporate trip so all you need to do is turn up and ski! You should expect breathtaking views, notorious and challenging ski terrain, and of course Mont Blanc itself. The incredible on and off-piste opportunities can be taken advantage of from early December to late April. Courmayeur – for appreciators of fantastic food, romantic getaways and off-piste skiing. Courmayeur has as all the style, glamour and character you would expect of an Italian resort but offers soo much more. The shopping is chic in their designer boutiques, and you can’t beat the food or coffee for miles around! The best bit about Courmayeur itself is that it cannot be beat for value for money, so although your body may be a little worse for wear by the end of your stay your wallet will not take such a huge hit. Courmayeur a village in its own right is mainly comprised of hotels that are flexible with lengths of stays rather than chalets only bookable by the week. There is a vast choice of accommodation to suit various tastes, priorities and budgets. From the extravagant Hotel Royal et Golf in the centre of Courmayeur’s pedestrianised high street to the more modest Hotel Tavernier just moments away from the ski lifts, restaurants and bars. With a typically hopeless romantic Italian feel makes it great for a romantic getaway with a loved one, especially with the natural thermal spa of Pre St Didier just minutes down the road. But what about the skiing i hear you ask? Well you are spoilt there also. There is plenty of piste to keep even the keenest of skiers occupied for a short break but the playground is expanded significantly for those wishing and willing to venture off piste, offering up some of the best, varied and most beautiful off-piste skiing in the entire Alps. 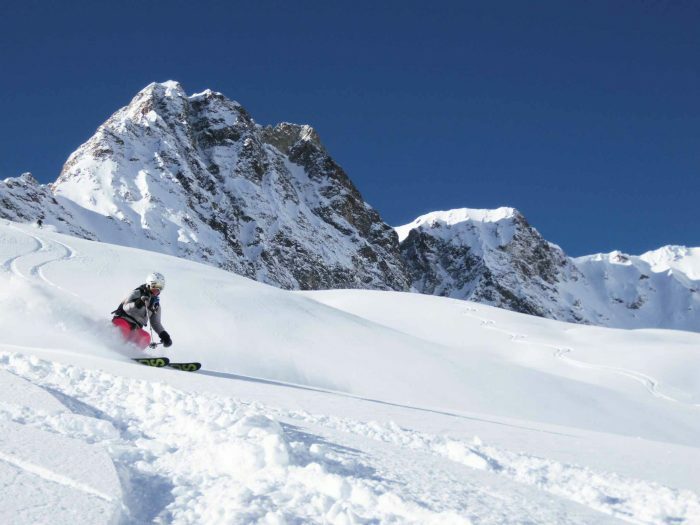 Varied terrain both on and off-piste makes this a great resort for all abilities of skiers from long gentle treelined green runs to challenging blacks to 40 degree off piste couloirs to conquer. All this knowing that there are plenty of fantastic mountain restaurants to refuel for your next adventure come lunch time and in the evening. Saint Gervais is a quaint alpine spa village, a hidden gem amongst the notorious resorts of Chamonix and Megeve. But, do not think it is less superior in anyway as it’s simply a matter of taste! If you are looking for table top dancing apres then yes, Saint Gervais is unlikely to float your boat. But the varied ski terrain as part of the Evasion Mont Blanc domain is impeccable, the village charming and the value for money in terms of accommodation and eating out unrivalled. Accommodation options to suit all are available whether you would like a ski in ski out chalet, and apartment beside the lifts and village centre or a small quiet Gîte on the outskirts. Saint Gervais is the perfect resort for families as the resort and village really go out of their way to provide additional entertainment and to accommodate youngsters throughout the season. 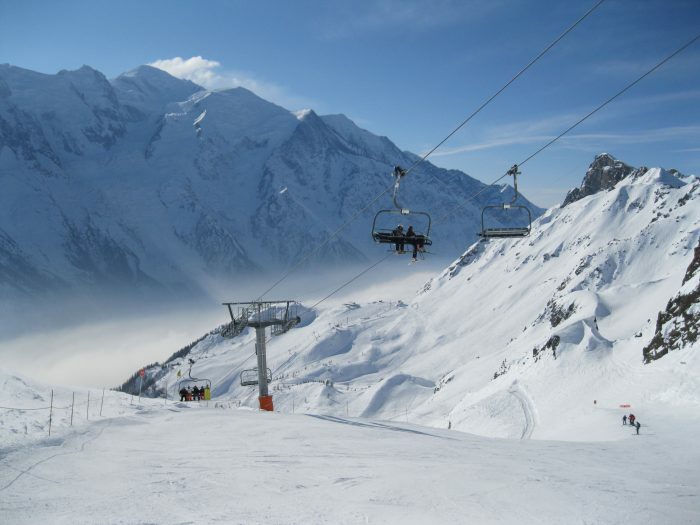 St Gervais is at the centre of the Evasion Mont Blanc Ski area with access to St Gervais, Megeve, Saint Saint-Nicolas-de-Véroce, Les Contamines and Combloux areas. With almost 450 km of piste at your fingertips you have more to explore than you could possibly cover on a short break. The endless wide green runs, nursery slopes, and forgiving blues makes this an ideal place for beginners to learn to ski and snowboard. Plus the adventure trail, ski cross course, and big air bag make it fun for the kids (big kids included!?!). The newest edition of the Folie Douce chain means that adults wanting to let loose on the slopes and socialise with friends and strangers are more than catered for. 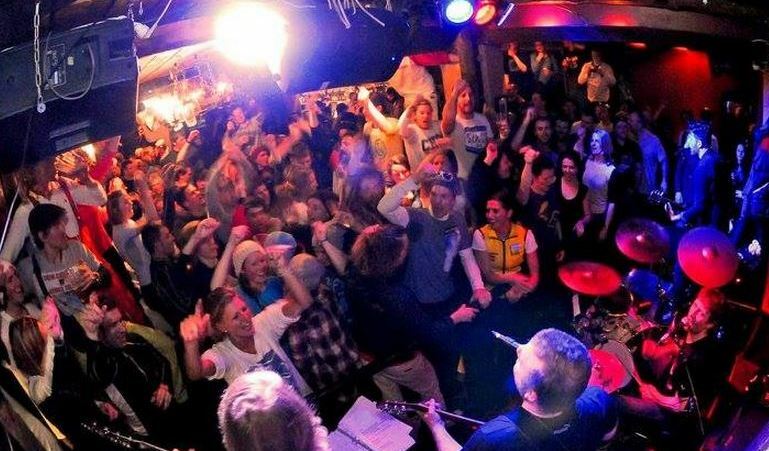 Open all day with live music, dancers atop of Mont Joux at 1900m you can start the party as early as lunch time… but remember you still need to ski down! The Folie Douce is probably the most lively apres scene in Saint Gervais but their are a handful of bars in the village as well. Namely the Oboose at the bottom of the Le Bettex Gondola particularly popular among the younger generation or a more sophisticated drink in the Bistro or Pur bar in the village centre. No nightclubs in sight though…. Sorry! Other evening entertainment includes the fantastic local professional hockey team who play regularly at the ice rink. If there is a match when you are here it is definitely a fun and exciting evening out with access to a bar and snacks throughout. Check out our Saint Gervais destination guide for more about Saint Gervais, our recommended eateries and the plethora of activities available here. If you have an appreciation of the finer things in life then look no further than Megeve. Home to the French and International elite since its not so humble beginnings in the 1920’s, exclusive luxury is the name of the game here. Home to three-star Michelin restaurants, chic designer boutiques and prestigious opulent chalets and extravagant hotels it’s definitely not for those on a budget. Along the theme of luxurious pampering Megeve is home to a plethora of high end beauty and health spa’s with vast services and treatments available within the comfort of your own chalet or hotel. 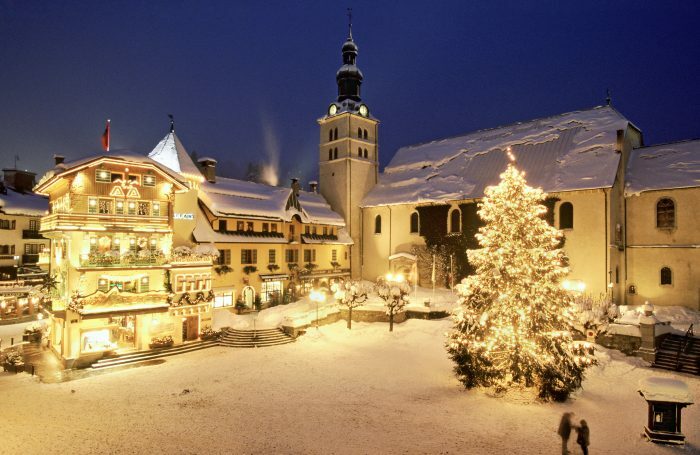 Take a stroll of an evening onto the cobbled pedestrianised lanes of the alpine village and you can only but admire the centrepiece 30m christmas tree extravagantly decorated by a well renowned artist each year, surrounded by the 19th century architecture. There you can take a romantic horse drawn carriage back to your chalet, frequent one of the many sophisticated wine or jazz bars, or tantalise the taste buds in one of the many Michelin accredited restaurants based in Megeve. Why not check out our Megeve Restaurant Guide here. Due to the amount of hotels in Megeve and rather busy lifestyles of those that reside there its is commonplace to book weekend of short break accommodation, so you will not have trouble sourcing flexible accommodation. The skiing is exquisite, particularly if you are fond of pretty treeline skiing and varied terrain for mixed ability groups. It like St Gervais is part of the Evasion Mont Blanc Ski area already mentioned, but you can find out more in our Megeve guide here. 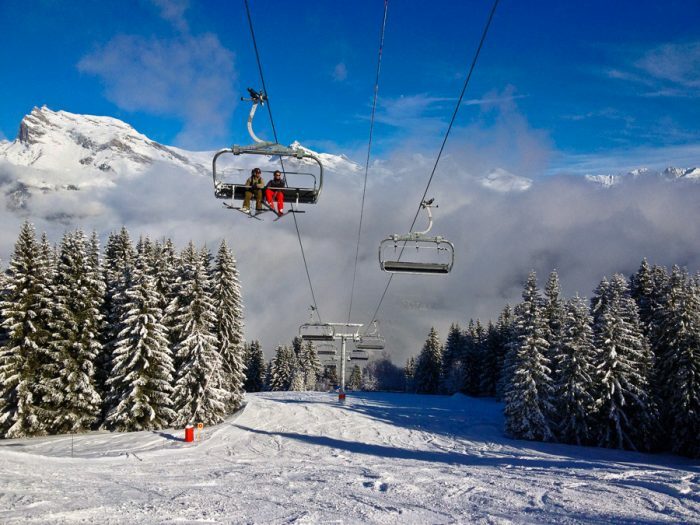 One thing you will notice is that although Megeve is known to be a ski resort those that flock to Megeve year in year out perhaps would not consider skiing to be the predominant pastime when here. Therefore, you will find there is always something to do and events taking place other than skiing. Chamonix – for apres lovers wanting to be the centre of the action, steep skiing and endless off-piste terrain. Stunning views, exceptional ski terrain, lively atmosphere and Michelin star dining, this is the perfect short break destination. Versatile to suit all budgets and tastes Chamonix has something to offer everyone. Whether that be a five star luxury spa hotel or chalet for those that like to travel in style. Or UCPA group accommodation or modest apartments in Chamonix Sud for those on smaller budgets and looking for a base to rest their heads for a couple of hours between early hours apres and first lift. Chamonix is no stranger to major international events and it’s highly likely that you will stumble across some sort of competition or event while you’re out here which just adds to the atmosphere, such as the Swatch Freeride World Cup and Kandahar Downhill competition. Like all the other resorts that made the list Chamonix has plenty of accommodation available and is very accommodating to weekend bookings. The fact that Chamonix in its own right is a permanent fully operational town, means that everything you could possibly want to need is available and accessible, unlike more remote alpine resorts. Including plenty of restaurants, shops and bars to keep you amused when not hitting the slopes including Michelin accredited fine dining, designer boutiques and even its own micro brewery. Most people with any kind of substantial interest in skiing or snowboarding has heard of the beautiful bounties and hidden treasures of the high mountains in Chamonix. It has this reputation for good reason too, many of the top athletes from around the world flock here to challenge themselves of the steep renowned freeride terrain, only to celebrate in style afterwards embracing its notorious apres scene. Chamonix apres is something to embrace and behold. A kind of “if you can’t beat them, join them” effort. It’s the only resort locally where you have the ability to party until 7am in one of its many bars and selection of nightclubs. Anything goes from dancing on the table shenanigans in Chambre Neuf, to more sophisticated drinking at the Cap Horn, to the chilled but sociable watering holes of the MBC and Moo bar. For a more detailed Apres Guide to Chamonix, or a sneak peak into the best eateries on and off the mountain check out our Peak Transfer Blog here. All this makes Chamonix a first rate ski break and weekend destination. 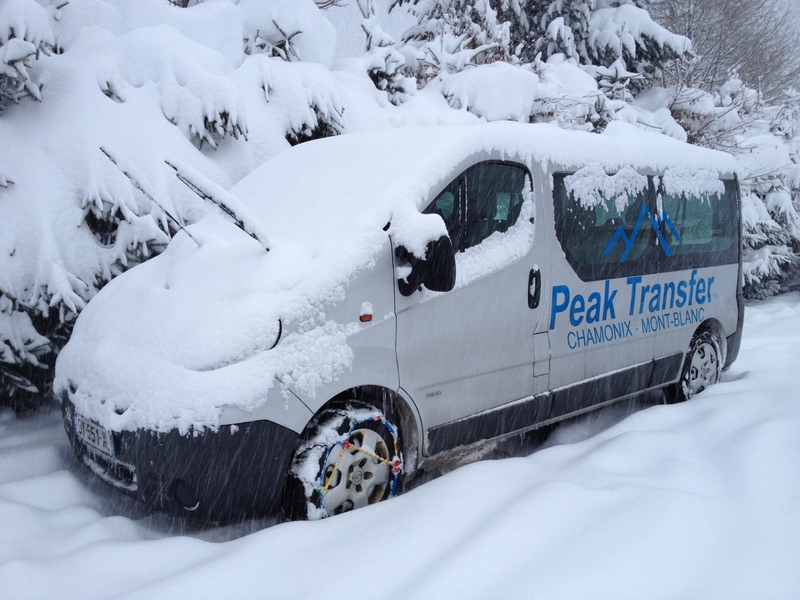 Peak Transfer provide reliable private and shared transfers across the French, Italian and Swiss Alps, safely transporting thousands of happy customers each year directly to their desired destination 7 days a week, 24 hours a day. If you would like to enquire or book a transfer, go to our Home Page for an immediate quote. For more detailed information on the resorts mentioned including the skiing, apres, mountain restaurants and things to do why not take a look at our guides on the Peak Transfer Blog here.